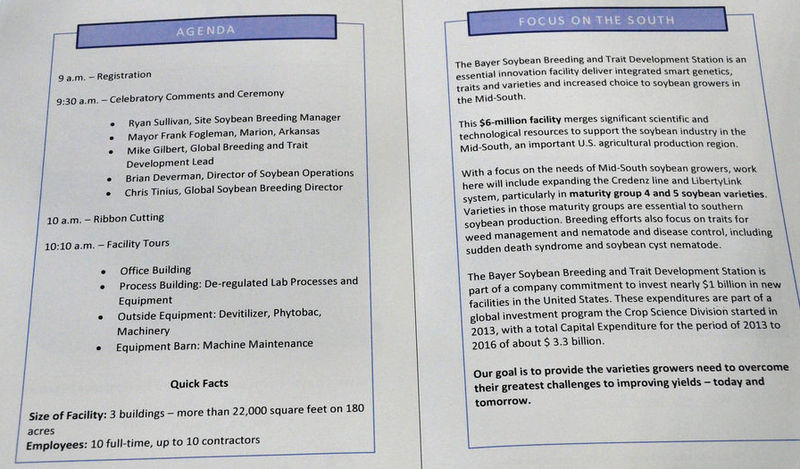 Southern soybean growers will reap the benefits of an expanded breeding program from Bayer, which includes a $6-million Soybean Breeding and Trait Development Station surrounded by 180 acres of research and showcase plots in Marion, Arkansas. On Thursday, Bayer wrapped up a week of grand openings by celebrating the expansion of the Soybean Breeding and Trait Development Center in Champaign County, Illinois. 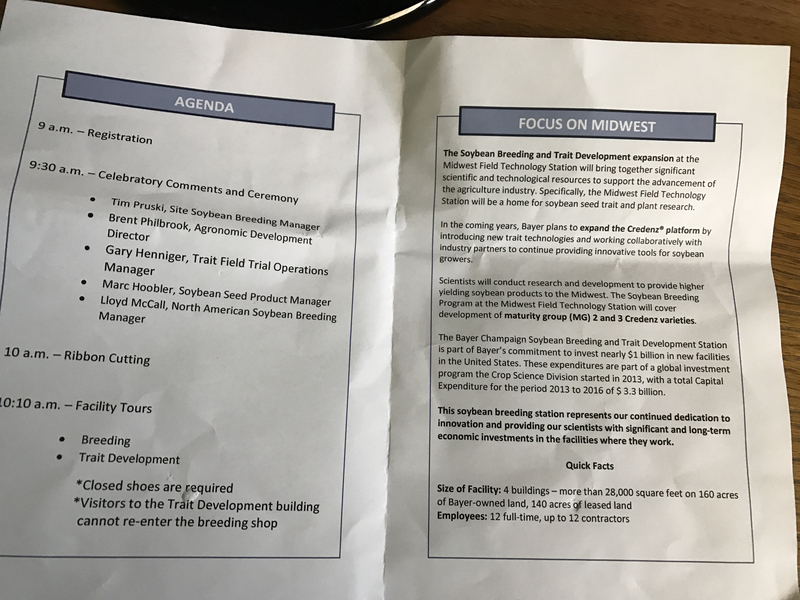 The new station will house research and development to identify, develop and test new varieties, using modern breeding methods, pushing the limits of yield potential for growers in the Midwest.